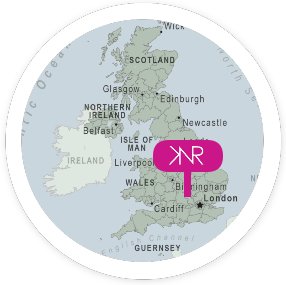 Welcome to KNR Jewellery - the inspiration of well respected British jewellery designer maker, Kirstie N Reynolds, and specialist in Fingerprint Jewellery since 1999. Being one of the original fingerprint jewellers and a leading UK fingerprint company means you can be guaranteed a quality product with excellent customer service when ordering your bespoke jewellery. We capture babies and children’s fingerprints from birth, handprints, footprints, first drawings, special writing and paw prints, through to great grandparents impressions, to bring you an extensive range of personalised jewellery and keepsakes that capture a precious moment in time. If you do not see what you are after please do email our team of skilled craftsmen who will be delighted to advise you on your unique and custom made jewellery. We will happily inscribe any personalised details – no matter how quirky – to make your personalised jewellery as individual as you are. We offer a personal appointment to customers local to Oxfordshire and Warwickshire or you can purchase any of our products through our mailorder Impression Kit across the UK and world wide. All hand crafted into fine silver, your impressions can be finished as charms with various fittings, pendants or bracelets in a variety of styles, cufflinks, key rings, bookmarks, Christmas decorations and more – all perfect for any occasion including birthdays, christenings, Mother’s Day. Father’s Day and Christmas…we can even add birthstones to your jewellery to commemorate special birthdays and anniversaries.